In my last post, I told about the regular, everyday events that went on as I time-travelled day by day to catch up to real time after not being able to play for a while. In this post I’ll bring my blog up to date with recent WiFi visits. Fairly recently, but long enough ago to where I don’t remember the exact date :P, Kammile and I did another neighbor transfer in which she tried to give me Poncho from her town and I tried to give her Gabi from a temporary town. To do the trade, Kammile first came over to the temporary town called Trildale. This was pretty weird, we managed to both stand in the same square! I didn’t even know you could do that. It was just a neglected town filled with weeds (as a result of time-travelling until Gabi moved out), so there wasn’t much to see and we soon went to Kammile’s town StarCity instead. After taking an exam Halloween morning, I went to Kammile’s town as soon as I could for the Halloween party her character Dawn was hosting. I’m glad I didn’t miss it, she had awesome decorations and games planned! The first guest of the evening was Mr. Pirate Dawn, who needed assistance in finding his missing treasure chest filled with candy corn. The next guest had a broken leg and needed to visit the hospital, so she asked me to lead the way. We each got a picture of the other’s glitched anime eyes (that sometimes appear during WiFi, especially after changing clothes). Mine are the regular black, but look at Dawn’s pretty brown ones! I wonder if you can have glitched green ones? She let me look around while she was watering flowers and I saw this awesome pumpkin! 😀 She let me stay very late, but eventually it was time for her to go to sleep. Thanks for everything, I had so much fun! This Thursday I visited a new friend’s town, Saima from Ivy Hill. I was afraid of barging in, but instead got such a warm welcome! 🙂 She was kind and funny and I loved the patterns she had in her town, it’s so beautifully decorated! The main path she has by Katrina’s Cranny is one of my favorite paths I’ve ever seen. 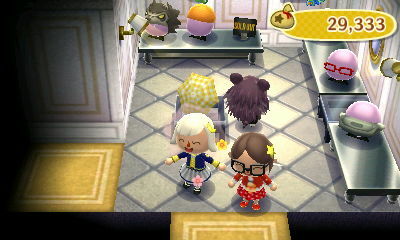 She really liked Teru’s butterfly pattern I was wearing, so I displayed it at her Able Sisters. Saima led us to her house, but before I went inside I just had to take a picture of her front lawn with the picnic area, flying clouds, and ground patterns. I love it! While I was in her flowery upstairs room, Saima’s friend Annie came over. A little while later I exchanged gifts with Saima; I gave her several hybrids I grew recently and she gave me my first blue rose! 😀 Thank you, I still hope to grow my own one day but in the meantime I’ll take care of this one and keep it safe (in my mouth, most likely :P). Then she came over to my town for a bit, which I don’t have pictures of because my camera was out of batteries and I was searching like mad all over my house for them. xP Unfortunately I didn’t find any before she had to leave to do homework, sorry about that. Thanks for having me over Saima, it was great to meet you and I loved your town! I was embarrassed to have guests in my town while in this unfinished, messy state (and also way behind real time! ), but she understood and was cool about it. This is where I plan on setting up a garden for her Fall contest. Aww, if only Saima were here, we would all match even more while wearing the butterfly shirt! 😛 There was a crown at my Able Sisters (again? I just bought one the other day!) and Kammile left to get more money, came back and bought it. 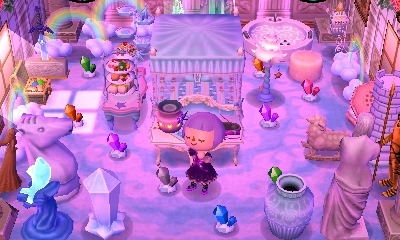 Sorry about the mess in my town (I hope to get it fixed soon! ), but I had a lot of fun with all these WiFi sessions, so thanks again! Posted on November 5, 2011 by Amy •	This entry was posted in AC:WW, AC:WW WiFi, Dafdilly and tagged Animal Crossing. Bookmark the permalink. than usual? 😛 That’s also my problem with my town too. 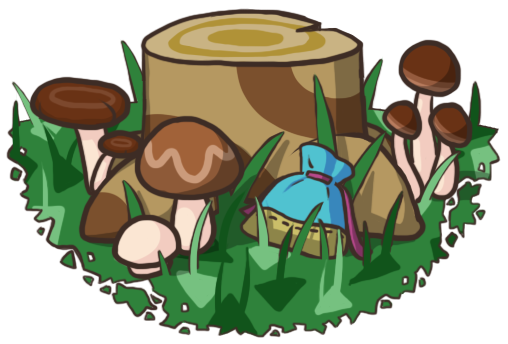 I understand you and know that I could blend it in with the current grass color by using a light tan on either palette 12 or palette 5, but I’m thinking ahead to when the grass changes several times again soon. I don’t want to have to scramble to try and change them to match purple-ish grass, so I’m just going to do a tile-type pattern until snow covers the ground. Wow, those new footpaths are nice! Makes me want to go out and stomp around on them x3 I can’t want to see your Fall contest garden when it’s done! Woa! you have alot of wifi meetings! I dont know why I just realized that. Anyway, what I’m trying to say is: Please look for my gates at 12:20-ish instead >_< Hope you understood that convoluted explanation. Oh okay, thanks for letting me know! 🙂 Excited to see your town at my favorite time of Autumn! Neeearly done >_< Sorry for making you wait. They’re finally open =_= Feel free to delete this thread. You posted this on my birthday! Hey I just got a new ACWW game when you posted this (Oh the irnony) because my old one was smashed. I was wondering that if you don’t already have your roster full that you can add me? If you can here is my friend code. No offense taken if you cant add me.